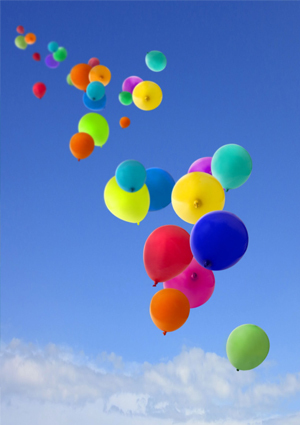 Following on with a similar theme to “I am a Muslim not a Terrorist” campaign, the Balloon release initiative aims to bring people of all ages, from different backgrounds under the same common grounding: to promote positive messages amidst all the negativity and stereotypes that are being associated with Muslims. This event will include the release of 1000 balloons in the town centre which will carry a simple message: ‘Not in our Name.’ This simple yet effective way of reaching the public will ensure plenty of smiles, laughter and happy memories whilst a serious message is being portrayed. • Allowing people to lead this project within their own areas. The balloons can be of different colours to promote racial equality and participants can wear t-shirts of all colours with the same message. A table can also be set up to allow visitors to enquire about the initiative and to give them a chance to volunteer. Memorabilia such as pens with dates and the slogan can also be given out.